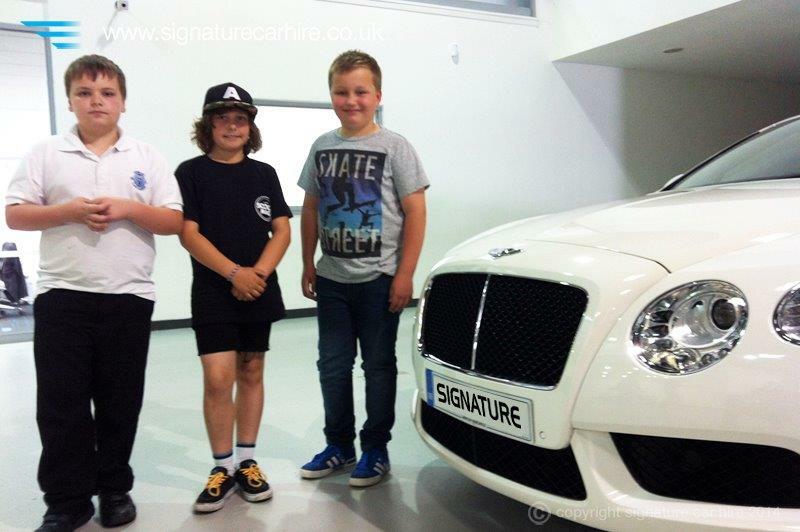 Boys love their toys and this was certainly true when Signature client Andy and Amanda Hackett brought down their two boys and best friend (Hayden, Hadleigh and James) to the Experience Centre to see our new fleet additions before taking their car for a weekend hire. 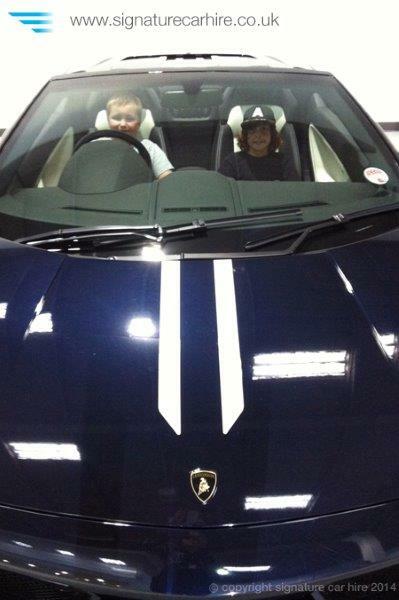 The boys were extended a full tour of our prestigious showroom by Dee, with permission to sit in any car of their choice. 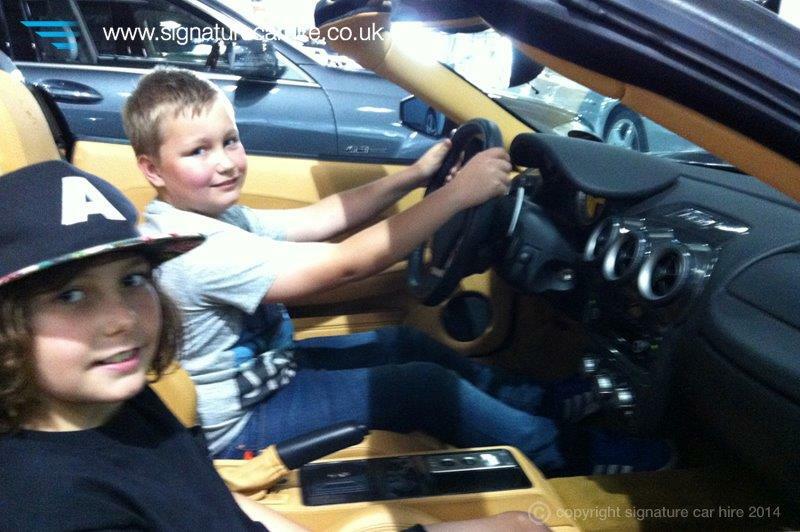 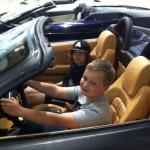 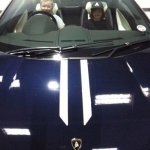 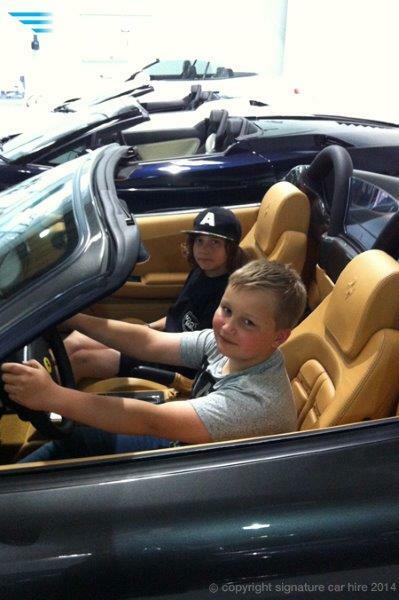 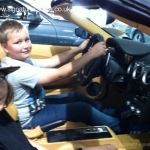 Their first choice was of course the performance cars, with the boys jumping into both our Lamborghinis and our Left Hand Drive Ferrari F430 F1 Spyder before posing in front of our white Bentley GTC V8. 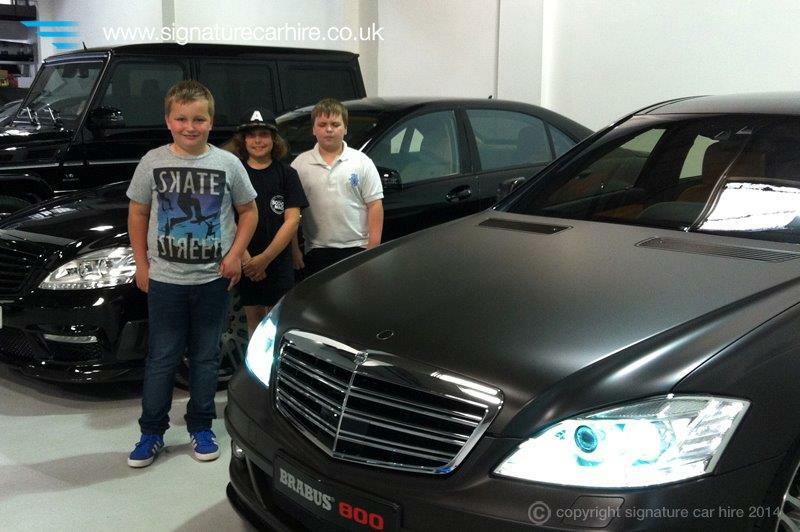 Next stop was our collection of new Brabus vehicles, which included our black Brabus G55 AMG and our matt brown Brabus S800. 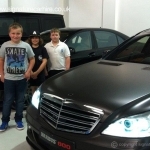 These new cars have only just arrived into the Experience Centre so the boys were pretty excited and keen to get a close look both inside and out. 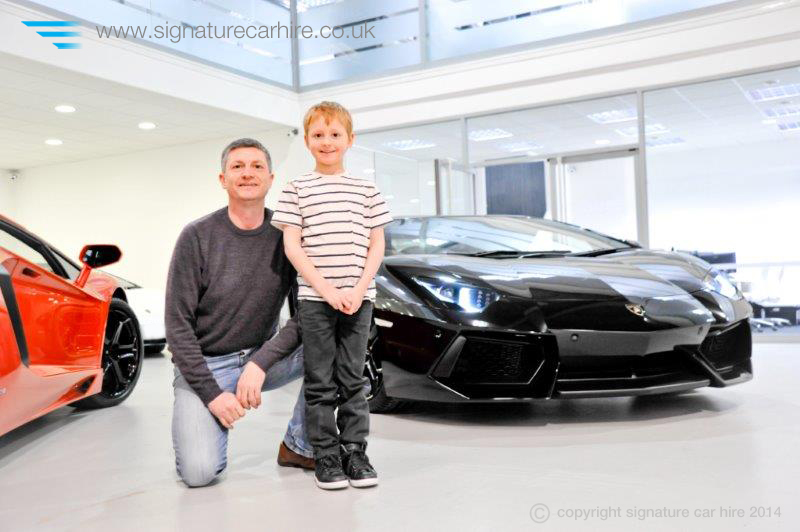 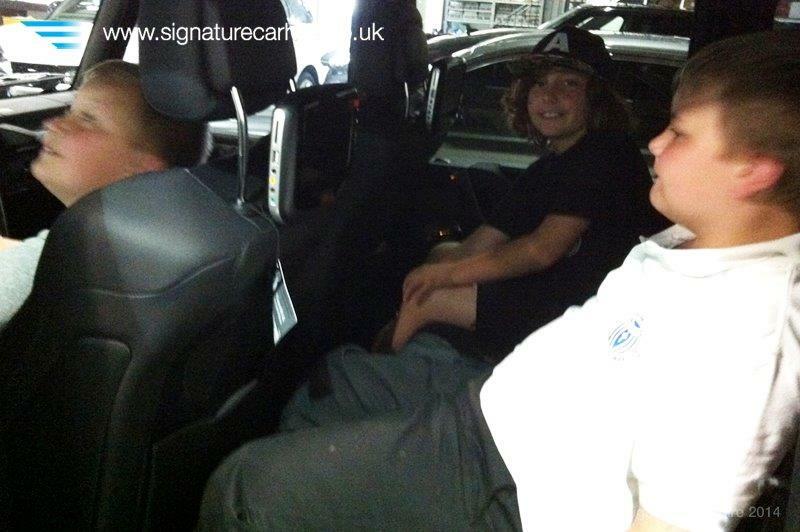 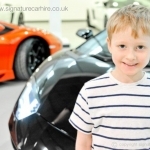 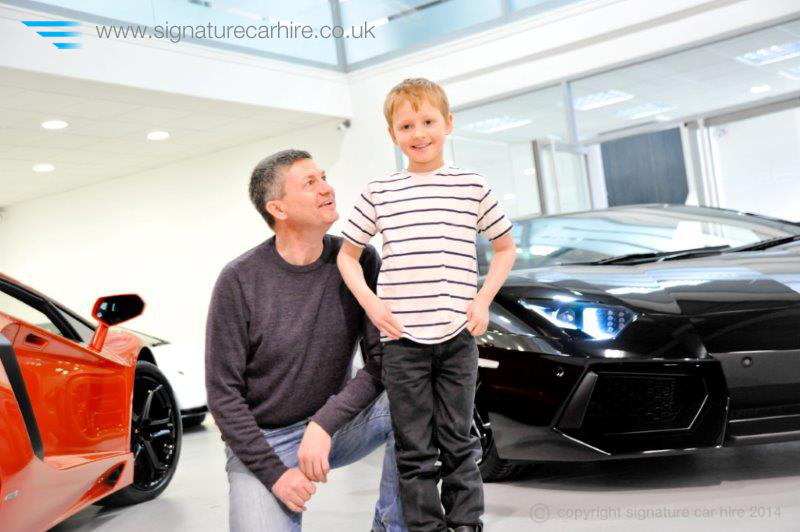 The Signature Experience Centre has been very popular this month with the younger generation, in fact Signature’s Commercial Director John Luttrell brought his son down to our supercar showroom for a grand tour of where daddy works. 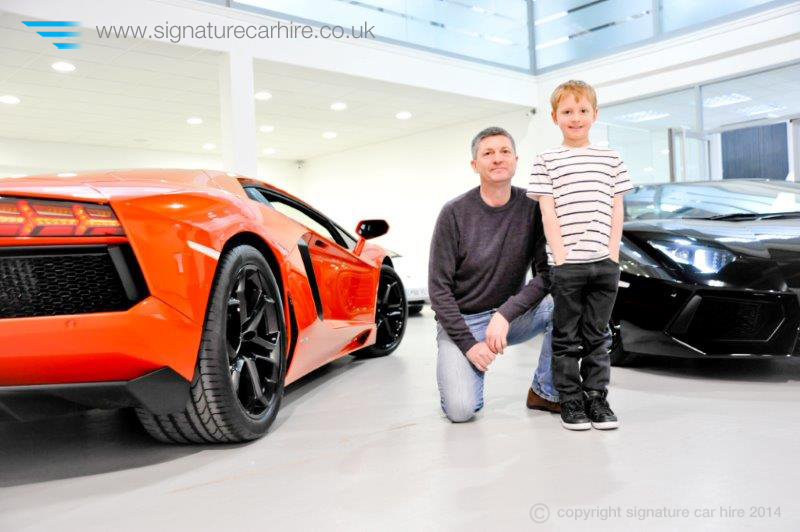 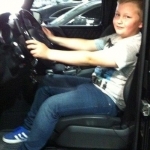 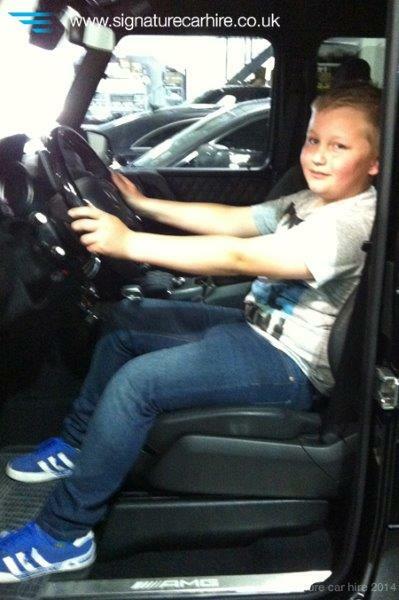 Once again the first choice was our supercars, and John’s son was excited to get a close look at both our black and orange Lamborghini Aventadors. 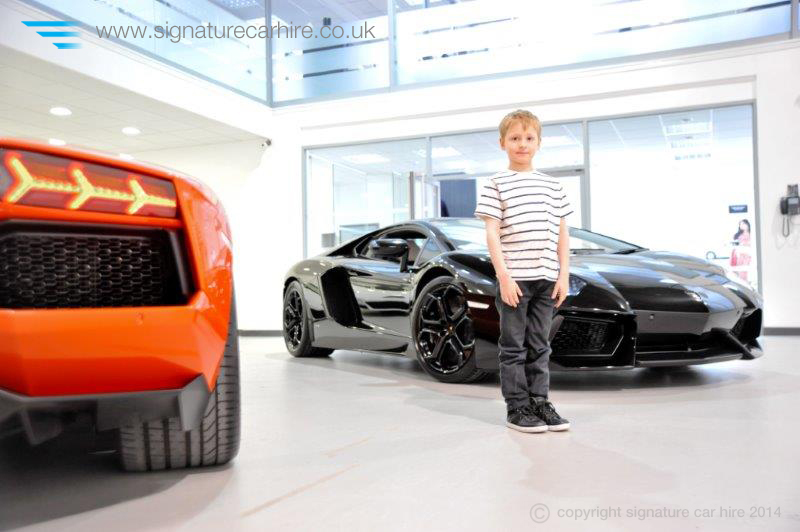 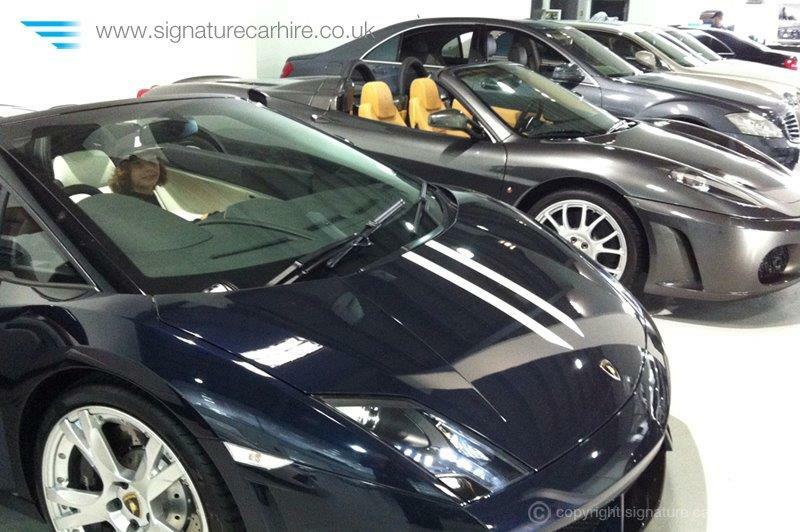 If you would like to get the full Signature Experience, which includes a tour of the Experience Centre to view our amazing fleet of prestige and performance supercars then call our personal account managers on 0845 370 2222 or email us direct.The tour takes approximately half an hour and will give you an opportunity to take a close look at our cars inside and out, listen to the roar of the engine and take any pictures you want. 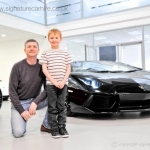 You will also be provided with refreshments and a Signature goodie bag. 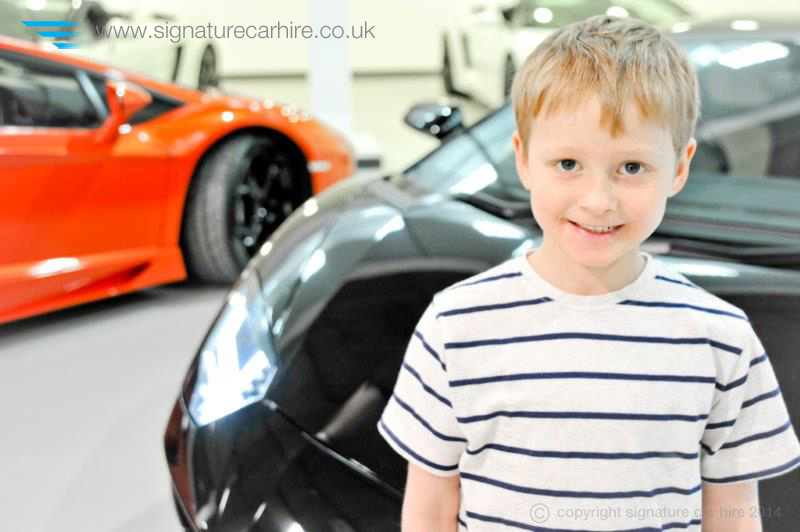 We will also take pictures of you with the cars as a lasting reminder of this special treat.